So last week I posted about the events that my LCS was having for the release of Deadpool #27 in April. 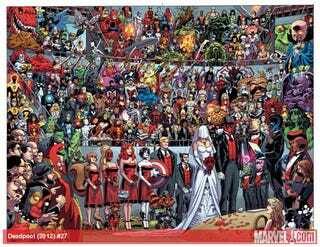 I included the jigsaw puzzle of the cover that shows a whole list of characters. Marvel.com has released a guide to the picture that identifies all the characters. Enjoy!